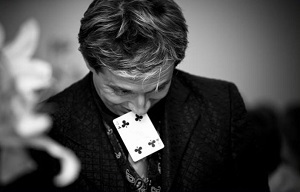 The Trixta is a close up magician with over 20 years of experience entertaining guests at a variety of events. From weddings and corporate events to private parties The Trixta creates a truly bespoke magic show tailored to your event to amaze your friends, family, colleagues or clients. The Trixta has performed at a number of notable venues in Northampton, Leicester, Birmingham, Milton Keynes, Nottingham, Coventry, Derby and many more areas. Sean Curtis has been amazing audiences with his fantastic close-up magic show that guarantees a fun time as he entertains with spell-binding magic performed close up and personal, right before your eyes! He interacts with his audience and gets amazing reactions - a great way of breaking the ice at your party or corporate event and creating laughter. Sean Heydon is one of Europe's most elite close up magicians. Contact him today for your FREE information pack. Mark Cosby is one of the UK's premier magicians. Mark has entertained for many weddings in palaces and casinos for royalty and heads of state around the world. 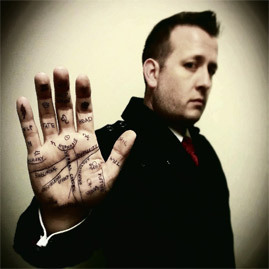 Across 3 continents Mark has brought his special blend of mind reading and magic to Weddings, corporate dinners, private parties, sales promotions seminars, and film premieres. He has been involved as a magical technical advisor for TV and has appeared on programmes for both the BBC and ITV. Mark is a member of Equity and is a Silver Star Member of the Inner Magic Circle. John Constantine has been performing magic professionally for many years and offers you amazing magic delivered in witty and entertaining ways. Increasingly popular with corporate bookers due to his interpersonal skills as well as his magic yet also in demand as a wedding magician because of his friendly personality, he can add that something special to any event. John is a member of the Leicester Magic Circle (of over 12 years standing), and is a core member of its ‘Close up Team’ which performs at the functions of a variety of organisations. 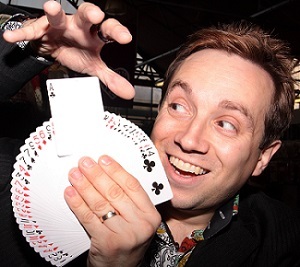 Primarily a ‘close up’ magic specialist, John also performs to larger groups and on stage. His approach to magic is to have a strong accent on 'entertainment' rather than just the performance of 'tricks'. Thus he thrives on aiming to amuse, involve and entertain his audience to the maximum degree. Much of his close up magic often occurs in the spectators’ hands - which amazes them even further. Shrieks of surprise and delight are not uncommon and it is not surprising that he has become a very busy magician enjoying not only increased bookings for special events, but regular (weekly) residencies at restaurants as well. Click on the link to John Constantine’s website for further information and where you will see many people enjoying the entertainment he offers with dozens of performance photographs and many quotes from satisfied clients. 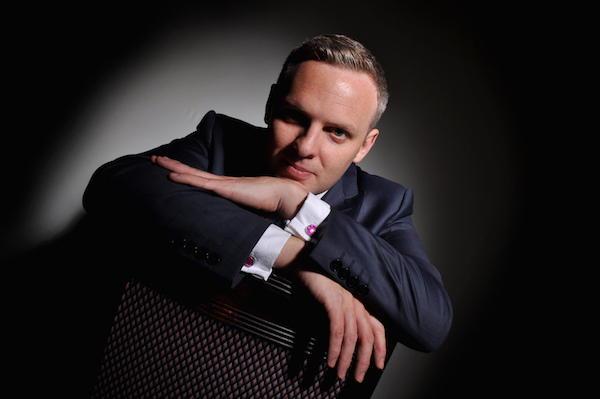 Will Gray Magician and Entertainer is based in the Midlands and a member of The Magic Circle, The International Brotherhood of Magicians and Leicester Magic Circle. Specialising in both Close-up magic and Stage magic Will brings his own unique brand of magic and comedy to your event. Working not only in the Midlands but also throughout the UK, this talented award winning magician will amaze and astound you with his amazing sleight of hand. Whether you are celebrating a wedding, birthday, engagement or anniversary or just having a get together, why not let this magician provide the ideal entertainment. Will's light hearted and entertaining performance is professional yet friendly and involves the audience to ensure they have a truly magical and memorable time. Experience the magic right in front of your eyes and even in your own hands. Impress your guests with this unique form of magical entertainment from one of the Midlands top Magicians and have them talking about it for weeks. Will works in Leicester, Nottingham, Derby, Coventry, Birmingham, Warwick, Northampton, Birmingham, Loughborough and throughout the entire UK. Carl was born in 1975 in Leicester, which came as a great surprise to his mum. She was in Stoke On Trent at the time. His love of magic began at the age of 6, when his parents bought him a Paul Daniels magic set for Christmas, although Carl is the first to admit he wasn't too impressed by this at the time. He'd asked for a BMX. By the age of 14 Carl was already a household name in his own house, and in 1998 it was rumoured he would be making a headline appearance at The Royal Variety Show, a rumour which Carl himself had started, and which proved to be completely inaccurate. Fast forward 10 years, and Carl is now a member of the world famous Magic Circle, having been unanimously voted in to membership at the first attempt, as well as The Leicester Magic Circle and The International Brotherhood of Magicians. He has also had the honour of being personally invited by the great Ali Bongo to represent The Magic Circle at one of their famous Saturday shows in London. Carl regularly performs his unique brand of magic at weddings, corporate events, restaurants and private parties, and can bring a truly unique element to your day. If you are considering a magician for an event that you are planning, or wish to discuss how a close up magician and entertainer can enhance your event, then contact Carl Buck to discuss how his services can be tailored to suit your exact needs. Amit’s magic combines astonishing and outstanding sleight of hand with and easy going and charming style. If you think magic was a magician pulling a rabbit out of a hat then think again. Amit is one of UK’s up and coming professional sleight of hand magician and entertainer, bringing magic to a whole new level. Amit is a professional magician, who is a member of the Prestigious Leicester Magic Circle, and his been interested in magic since the age of 6 years old. Magic is a great form of entertainment and if you are looking for great entertainment at your next party then look no further than Amit Badiani. Amit is based in the Midlands and performs at venues in Leicestershire, Birmingham, Northampton shire, Nottinghamshire, Derbyshire, Buckinghamshire, Yorkshire, Gloucestershire, Coventry and also the entire London area and also throughout the entire UK. Abdul Khlifa is one of Leicester top sleight of hand Magicians and is regularly creating a buzz at different events with his excellent magic. Abdul is available for wedding, adult parties, corporate shows and more. Call him now to discuss your needs. The Magic Zone is a one-stop for all your magical entertainment needs. Mark offers magic suitable for adults and children and has numerous packages available to suit all budgets. Mark is a professional Magician and Entertainer whose aim is to leave everyone with a truly magical experience. Close-up and stand-up magic are a great addition to any wedding, party, trade show or event. Mark can perform close-up magic standing or at tables to entertain your guests, and can follow this up with a stand-up show performing magic normally performed on stage for larger audiences. Mark is an accomplished children's entertainer and has a 2-hour party format that is hard to beat. Mark performs at birthdays, christenings, 1st birthdays, PTA functions, corporate events; in fact anywhere there are children that need entertaining. The children are treated to a magic show, balloon modelling and a prize-winning disco all performed to the highest standards. If the show is for a birthday then the birthday boy/girl always performs some magic and produces a present, the rest of the show is a mixture of magic and ventriloquism, using the children as helpers whenever possible. The disco is sure to keep the children’s attention as they try to win a prize. If they don’t win a prize don’t worry we play a game where they all win some sweets. If your party or event is longer or shorter than 2 hours, don’t worry Mark can tailor a package to your needs to ensure the best possible experience. Mark will work nationwide but his main areas are Warwickshire, Leicestershire & the West Midlands as he is based on the boarders of all three. The main cities / towns covered are Coventry, Birmingham, Solihull, Leamington, Warwick, Rugby, Stratford, Leicester, Lutterworth, Nuneaton and Bedworth. Mark always works to the highest standards to give you a truly professional show. He is a member of Equity, The Coventry Magic Circle and The Leamington and Warwick Magic Society, and has £10 million of public liability insurance and a CRB certificate. For more information on the type of magic that interests you click one of the links at the top of the page.